As we get older, we naturally slow down. Performing tasks that used to be routine may require assistance. Many seniors realize they need help after something happens simply because they did not recognize the warning signs. 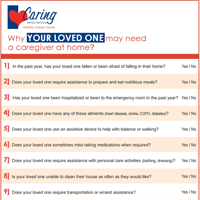 To help families recognize the need before something happens, we have created this 10 Warning Signs Handout to help you determine if now is the time to explore home care options for yourself or a loved one. Find out if you or a loved one is at risk? 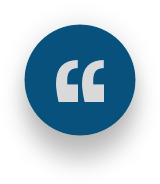 "Learning to recognize the early signs of need for a loved one or symptoms of caregiver stress will assist you in evaluating your or your loved one's needs." "Thinking about care options for your loved one can be stressful... Planning well can help you continue to be there for your loved one."